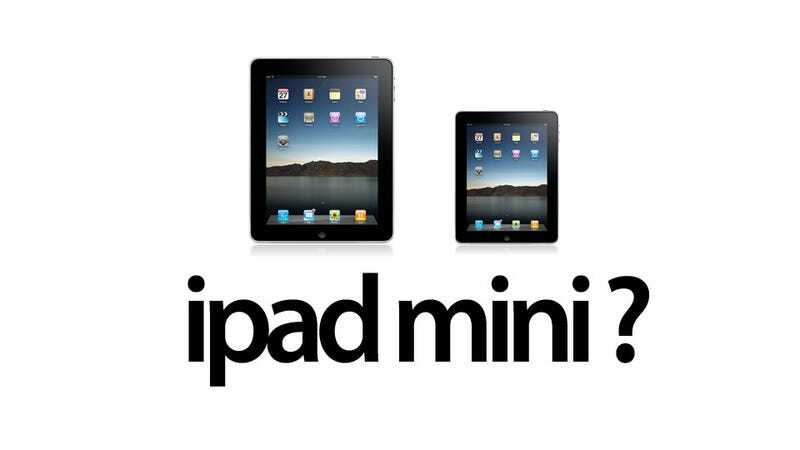 The Chinese rumor mill has hit full blast today claiming to have details about the imminent release of an iPad mini. Chinese net portal, NetEase, has a story on a rumored new mini Apple tablet. NetEase claimed that the device will be released around the third quarter of this year to "counter attack" the upcoming Windows tablets. The report further claims that the devices will cost anywhere from US$249 to $299 and that there will be an initial 6 million units ready for launch. Various Apple analysts have said before that a smaller iPad could do wonders for Apple, allowing it to dominate the smaller tablet market as well. What's interesting is that in the NetEase article, Honhai Precision (Foxconn) and Pegatron are the two companies that will supposedly make the device. Pegatron was at one point a subsidiary of Asustek, who are currently working with Google on the next line of Android tablets.